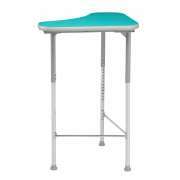 Flexible classroom furniture will transform the way your students learn. 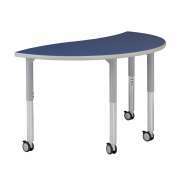 By promoting a variety of configurations, flexible school furniture supports many learning and teaching styles. With adaptable furniture, teachers can utilize group work and collaborative efforts without having to take too much time to rearrange. The more students move around and are exposed to varying tasks, the better they will be able to absorb and process information. 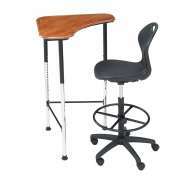 Flexible chairs and desks encourage innovation. They will help children develop their unique skills and interests by learning in different ways. Most jobs in the modern world require some degree of collaboration, and the ability to work cooperatively to achieve a goal or complete a task is important for everyone. Mobile furniture facilitates project-based learning, which prepares students for the world outside of their formal education. 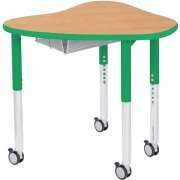 It also saves money because schools can use the same flexible classroom furniture in many ways, rather than having to purchase new items for various purposes. Rearranging a learning space several times in the course of the day draws students&apos; attention and encourages children with differing strengths to contribute to the learning community. 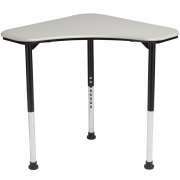 Flexible desks and tables promote individual work as well as group work. They can be arranged in clusters for collaboration or long rows for frontal lessons. Groups can also be varied in number according to the task at hand. 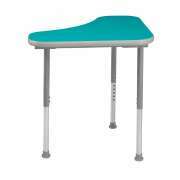 Flexible classroom furniture includes way more than the basics. Room dividers and whiteboards can play a key role in independent group work or small-group learning facilitated by a teacher. Individual clusters can use dry erase boards for brainstorming and sharing ideas, and then display their work so the rest of the class can see it. This option promotes creative solutions and thinking out of the box much more than a regular pen and paper. It also enables those who were not in the original group to get a clear picture of the ideas being presented as well as the thought processes which led to them. 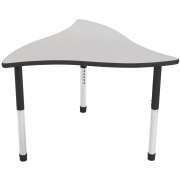 Dividers are another great piece for those who want to maximize classroom configuration options. An open design in which small groups sit adjacent to each other and can overhear each others&apos; conversations can help students come up with new ideas. However, some students might find the murmur of other groups to be distracting. Partitions can separate one room into clear sections so students can focus on their group and not be distracted by others who are close by. When an open learning environment is desired once again, they can easily be wheeled off to the side in a matter of seconds. 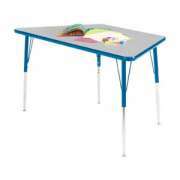 Educators benefit from flexible classroom furniture because it enables them to teach in a variety of ways. 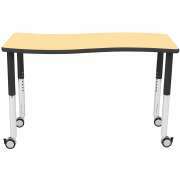 To create an even more versatile learning space, consider an adaptable teacher desk. 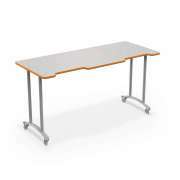 The Nate desk has an extendable work surface which provides a great space for meeting with students as well as a built-in adjustable lectern. 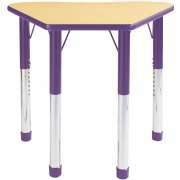 This gives teachers the ability to sit and work or stand and teach without having to move around or rearrange anything. Having things in the classroom which can be used for a variety of purposes encourages young learners to explore and develop their creativity. Even from a young age, children can benefit from flexible furniture. In a preschool classroom, A+ activity tables let young learners work independently, in pairs, or in larger groups without having to move anything at all. Children simply rotate their bodies in different directions and they can benefit from different learning styles. Bentwood stools can form interlocking rows or circles so little ones can enjoy learning from many different vantage points. Cube chairs can be used as flexible chairs, tables or building toys - it all depends on what your students want to do with them. Playpanel room dividers can expand your options in an early-childhood educational setting. They offer a great way to divide a room into preschool learning centers where young students can choose to participate in activities that appeal to them. Unlike permanent walls or heavy room dividers, play panels can be switched around on a weekly, or even daily basis. They will pique your students&apos; curiosity and provide unlimited possibilities for what you can do with your classroom. 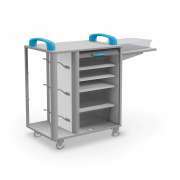 While designing a flexible classroom, storage should be a consideration. 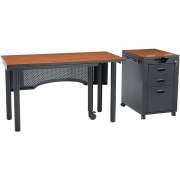 Mobile storage cabinets are ideal because they enable you to transport contents without having to do any heavy lifting. When even the cabinets can be moved around easily, almost any configuration can be arranged using flexible school furniture. 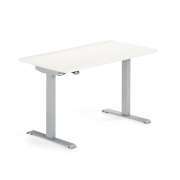 Flexible furniture can also come in handy in a business environment. 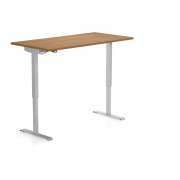 Mobile training tables are perfect for professional-development seminars or training sessions. Flip tops make them easy to set up, transport and store. 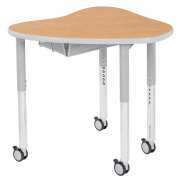 With casters at the end of each leg, moving them into position is a breeze. Flexible office furniture lets you set up conferences in a variety of configurations, without the limitations that regular tables have. 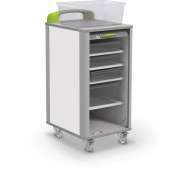 Mobile AV carts are necessary in both today&apos;s schools and offices. Bringing technology into the classroom is much easier when everything can easily be rolled from one room to another. Audio visual carts can hold your laptop, projector and other digital equipment so you can make a slideshow or play a video clip virtually anywhere. 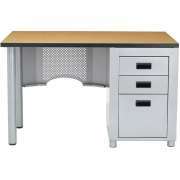 With Hertz Furniture&apos;s versatile school furniture, a flexible classroom is right at your fingertips. 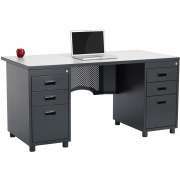 You can have all of the student desks and school chairs you need with the ability to reconfigure them in numerous ways. 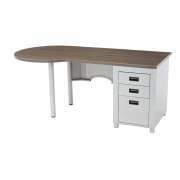 Figuring out the logistics of choices and quantities can be quite daunting for those who have never chosen flexible school furniture. If you need help identifying the right flexible furniture for your school or office, contact the Hertz Design Center for free project-planning advice from the experts.